For your convenience, when you are not able to be with your pet for their exam, we offer a 'drop-off' hospitalization service to attend to your pets' needs. A 'drop off' hospitalization appointment means you present and leave your pet with us at a time that works best for you. You will be asked to fill out a "Sick Patient History" form upon arrival or you may download it from our website (under "Useful Documents") and fill it out before you arrive. Usually we will ask you to present your pet sometime in the morning so our doctors can examine the patient as soon as is possible as their schedules allow. Once the doctor has completed an examination you will be contacted and the doctor will go over the diagnosis and discuss further plans. For the safety of all animals in our care, we require that your pets vaccinations be up to date. Even though we make every effort to make our patients feel comfortable during visits, they may be a little uneasy about new people, new surroundings and other pets. We recommend that animals be placed on a leash or in pet carriers before entering the waiting room. Please allow 4 hours for prescription refills to ensure that your wait time is minimized upon arrival to pick up the medication. 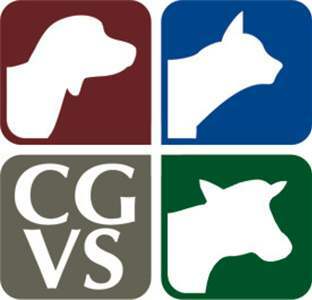 Cedar Grove Veterinary Clinic prescription refill policy asks that you allow 4 hours for your pets prescription to be refilled. This gives our staff and our doctors time to review your pets file and make sure they do not need to make any changes to their medication. Our staff will call you when your pets’ medication is ready to be picked up. If you wish to have it called in to a local pharmacy please be sure to specify which pharmacy and its phone number. Certain medications require blood testing and checkups at specific intervals in order for your pet to continue on the medication. Please note; if we have not performed an exam on your pet within the last 12 months we will not be able to dispense any prescription medications for your pet. All pets must have a current Heartworm test on file within the last year for your pet to continue on their Heartworm medication. Medications that are dispensed and have left the building regardless if it has been opened or not cannot be returned and no refund can be given.